Home > Ask Our Experts > Does E631 Use Extracted Pig's Fat or Sardine Oil? 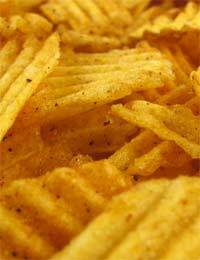 Can you tell me about the source of flavour additive E631 which is used in some potato chips/crisps. I cannot tell from anything I've read whether it comes from pig's fat, another animal - or indeed sardine oil? It's important to many people to avoid products extracted from pigs. We realise the importance for many people of avoiding products extracted from pigs, which is why we’ve published articles such as this one on - E numbers not suitable for a Halal diet - if you’re looking to avoid other E numbers with links to pork products, then you may find this to be a useful read. As a muslim we should not consume these products because they are doubtous .Sources should be properly labelled and govt. should compell all the manufacturers to do so. Thank you everyone for your comments. I think any ingredients containing pig fats should be labelled with the prefix “PF” (Meaning Pig Fat) rather than an “E”. This way the product manufacturers would be considered as honest and the Byers can make an informed choice when buying the products. Certainly we can avoid some products that we come to know containing e631.unknowingly we still r not aware of some products containing e631 we consume.so it should be the responsibility of govt. To restrict such products that r against to certain communities or religions like our islam. Why wait for govt to ban ??? Ban in your homes it will be automatically disappear from market whenno demand no supply simple rule. If this true so plz don't use all Muslims because its Haram in islam. Now it's not a new thing most of the mobileusers have come to know about this kinda product after all they don't care if only Muslims don't purchase these products so around the world it would be decreasing value of the growth . I don't eat any kinda fast food. All products contains pig oriented food, Should clearly show E631 In Bracket) Pig fat content.Every one would read this and buy. If there are various animals (such as fish pig etc) used for making e631,then why for pig fat no other number is given? Our government should ban this activity .It is wrong. We should have to take strict action and don't eat these things if we shall not buy these things this may cause a devastation of companies. We are believeing they are deceiving. Coding like E631 is a criminal activity there should be clearly written on products what ingredients are used in. we must know what I am purchasing,after all we are paying for that. So stop purchasing products having like E631 coding from today till clearance. It is sad that the multinational companies are playing with people using ingredients like E631 in popular foods. It is certainly drawn from pig fat as it is easiest way to get it in western countries. So sad, stop E631 immediately. Thanks for sharing this highly informative info, our government have no time to investigate these small businesses they are taking benefits. We should aware and care about these kinds of products. Thanks again for sharing. E631 is a Pig Fat Plz Don't Take Those Products On Which You See E ingrediants Its Very Harmfull For Your Health. Every Religion's people need to keep off and band it. And Strogal for stop. E631 is a salt. How does it matter how it is derived (from religious standpoint) - its chemical composition is totally changed once it is changed into a salt. Very good information. How we can know about the E631 which was using by company is from animals or by fermentation of sugar.